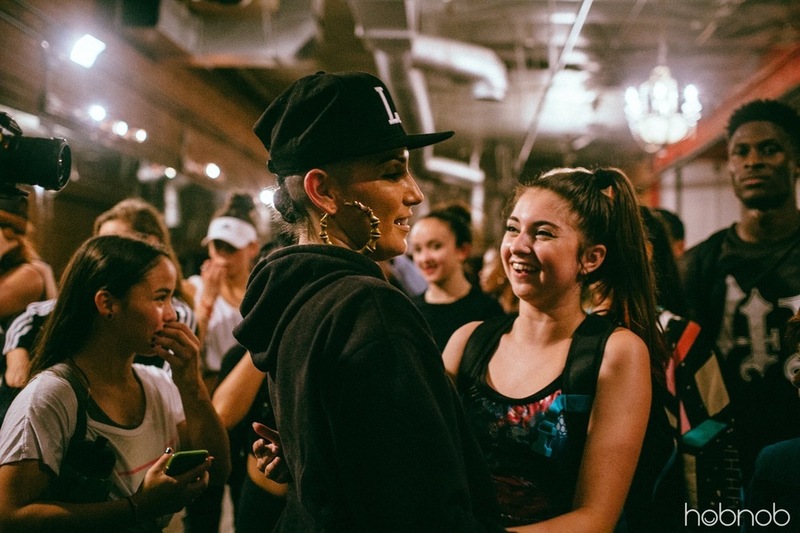 With an eight count and a burning desire to fuel the next generation of dancers, hip-hop maestro Tricia Miranda turned the heat “All the Way Up” at her recent Master Class at L.A.’s Millennium Dance Complex sponsored by Hobnob Invites. As a dancer, getting to attend one of Tricia Miranda’s highly coveted Master Classes is like finding the golden ticket. And for the rest of us, watching the choreographer’s viral videos of those classes on repeat feels just as golden. 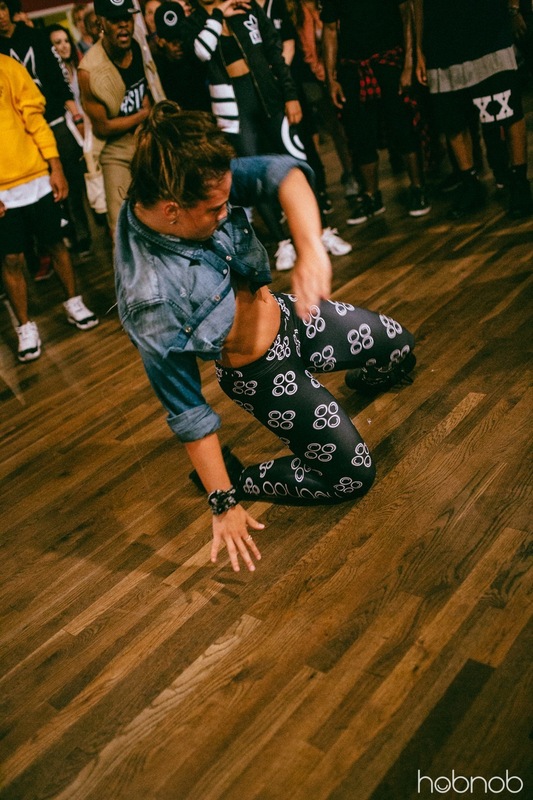 As a participant or a spectator, there’s no denying the infectiousness as Tricia Miranda works up a room full of nimble, sweat-glossed bodies. But first, let’s break it down: With her forthcoming MTV show, Going Off, about to dominate our television sets, Tricia is on the brink of superstardom, but her hard work, talent and skill have been known to music industry insiders for over a decade. Tricia exploded onto the scene in 2001, and quickly became recognized as one of the nation’s top dancers, performing with the likes of Britney Spears and the Black Eyed-Peas. Furthering her art, she took to choreography, foregoing the spotlight for working behind-the-scenes to showcase the talent of her dancers. She’s orchestrated performances at countless mega events, the Grammys, Super Bowl, and SYTYCD included. 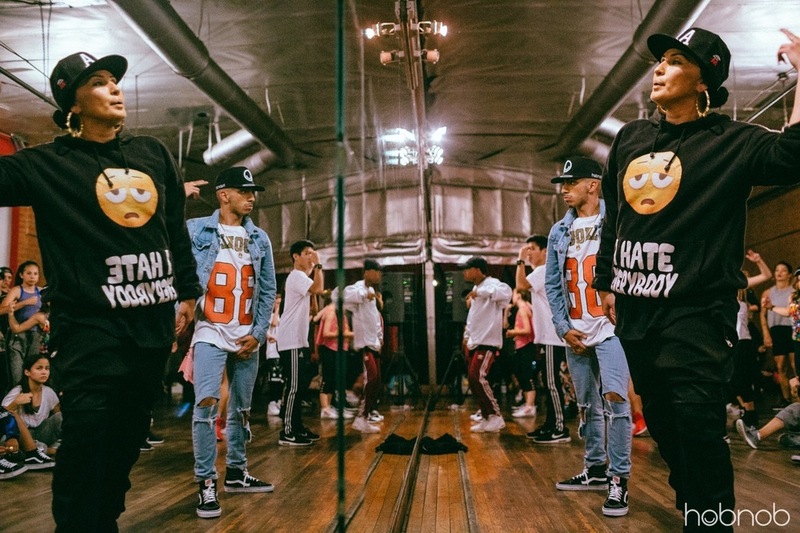 Today she is one of the industry’s most sought after hip-hop instructors and choreographers—basically on speed-dial for artists like Gwen Stefani, Iggy Azalea, and Missy Elliott. And after all this career success, what fuels her most and gives her the biggest sense of accomplishment? Teaching. 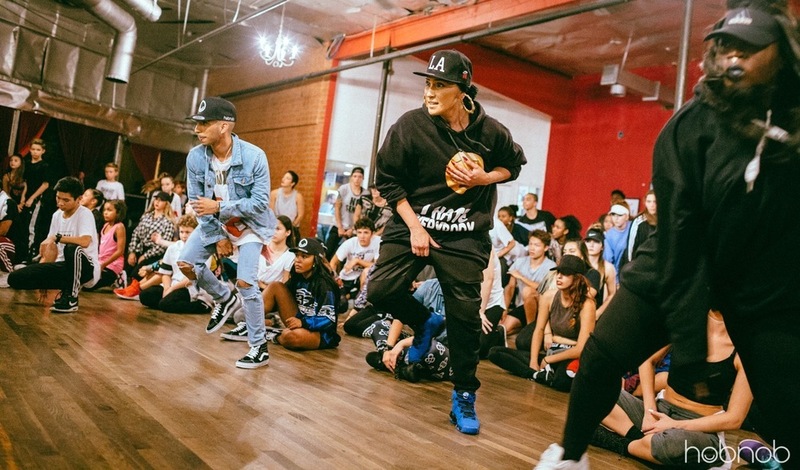 And that’s why, hot off putting in work at a VH-1 event in New York City, Tricia flew to L.A. in time to instruct a 9 pm Master Class sponsored by Hobnob Invites. Because she embodies so many of our core values—artistry, personal expression, diversity, and inspiration—when Tricia wanted to use Hobnob to connect with her students, we jumped at the chance to contribute to her amazing community by sponsoring a free Master Class. Pursuing a passion is sometimes a challenging and financially difficult task, our goal was to allow these dancers to focus on what matters most about an event like this: being there. Ahead of the class, Tricia shared her Hobnob invite on her popular social media pages, easily spreading the word directly to her tribe. Within minutes, her devoted fanbase started signing up. All the prospective students had to do to get on the list was text “#triciamiranda” to HOB-NOB (462-662)—no downloads required. 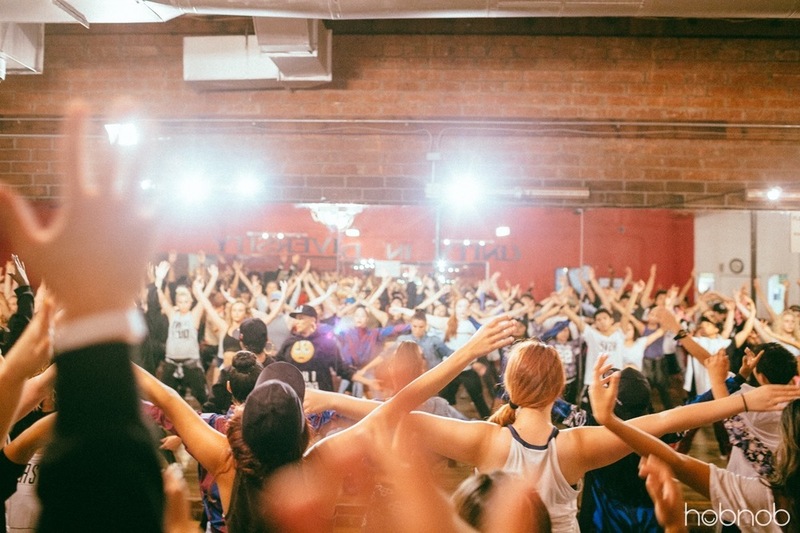 With over 90 people signed up for the class and an additional 65 people on the waiting list, the sidewalk of the Millennium Dance Complex was crowded with dancers from across the country, and even as far as Dubai - each hyped on the once in a lifetime opportunity to be taught by Tricia Miranda. Full out: the class. Millenium’s iconic red walls could hardly contain the kinetic fire building off the dancers’ energy, anticipation, and camaraderie. 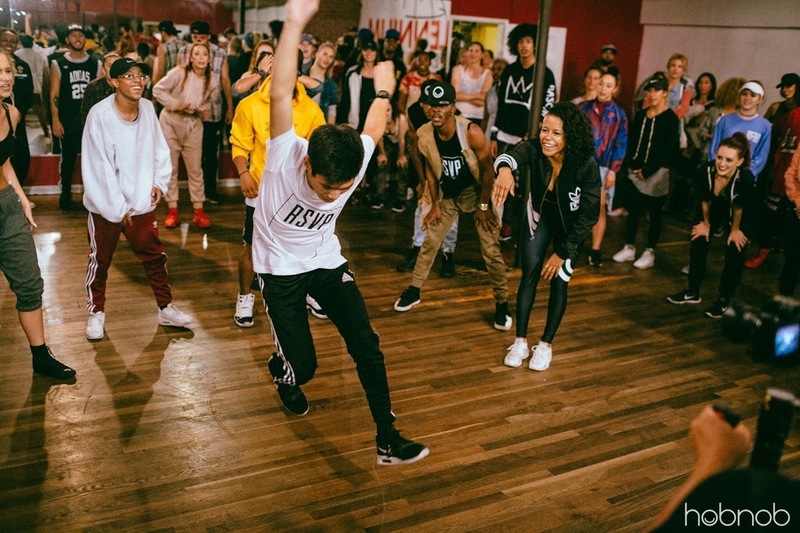 A maestro of movement, Tricia worked the mix of veteran talent, up-and-comers, and fresh faces through drills and marks, culminating in jaw-dropping routines set to the pulsing rhythm of Fat Joe’s new hit, “All the Way Up.” Dancers left it all on the floor at the end of the night, circling up to shake off pent-up energy with their mind-bending freestyles. Amid the swell of supporting cheers, it was clear Tricia had done it again: taken a room full of dancers and infused their every move with a palpable electricity. After the class, photo sharing was a snap. 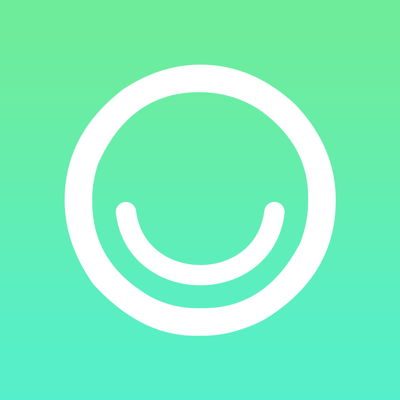 Using the class’s Hobnob invite, students uploaded selfies and photos via text to share with the group, and were easily able to access the professional action shots taken by the event’s official photographer.